We can apply conditional formatting to cells containing dates to highlight dates between two dates. 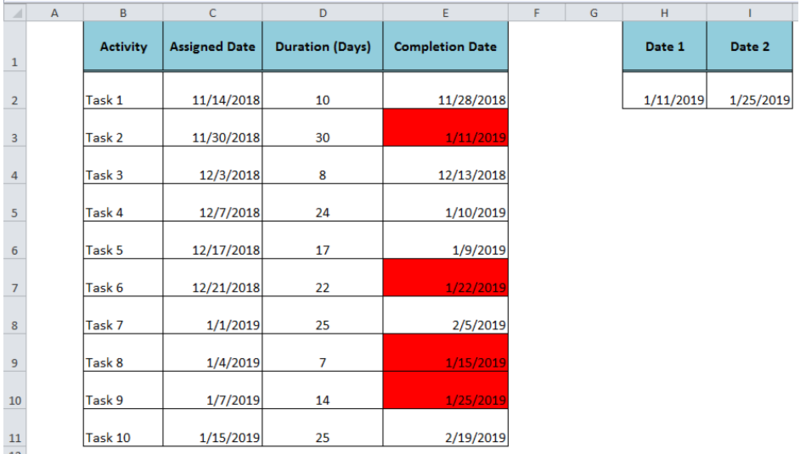 Using the AND function in conditional formatting custom formula rule, each date in selected cells is evaluated against two given dates and all those cells are highlighted where dates fall between given dates. 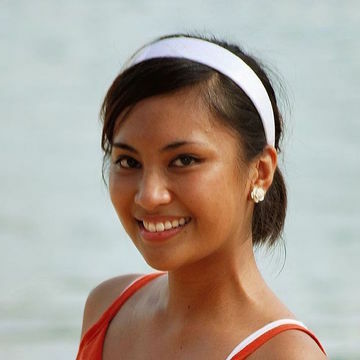 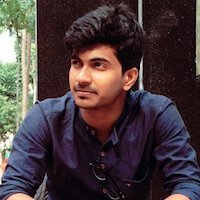 This article will step through the process. 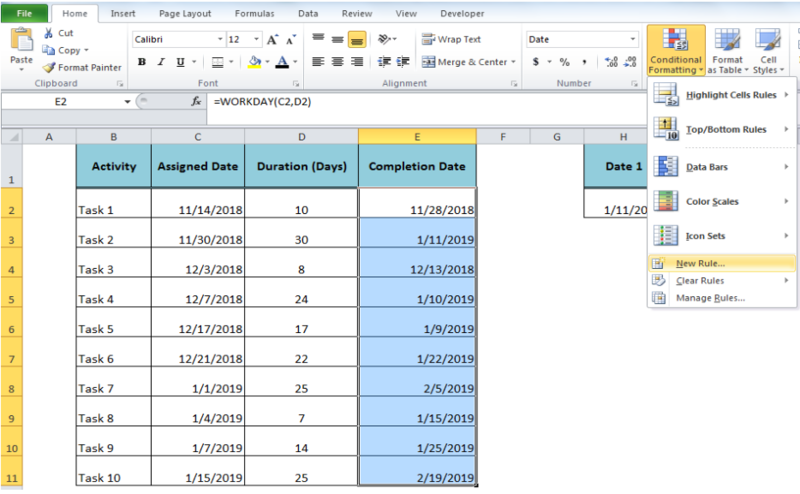 Suppose we have a dataset of various tasks with their assigned and completion dates. 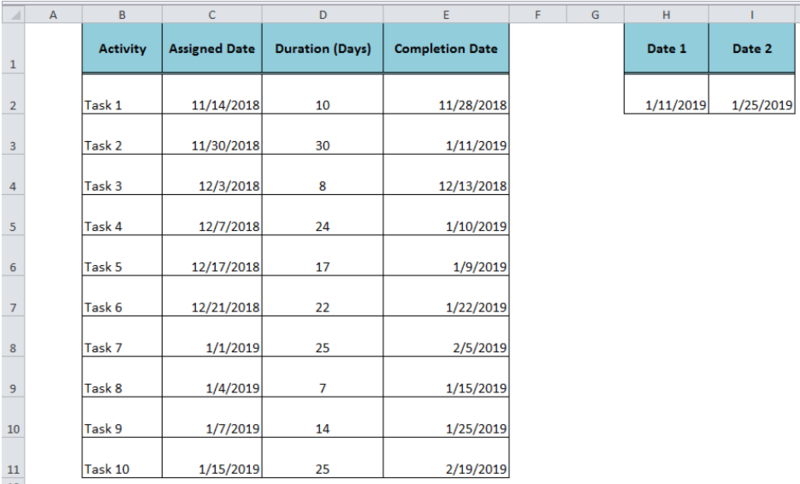 We want to highlight those completion dates in column E that fall between 1/11/2019 and 1/25/2019, given as Date 1 and Date 2. 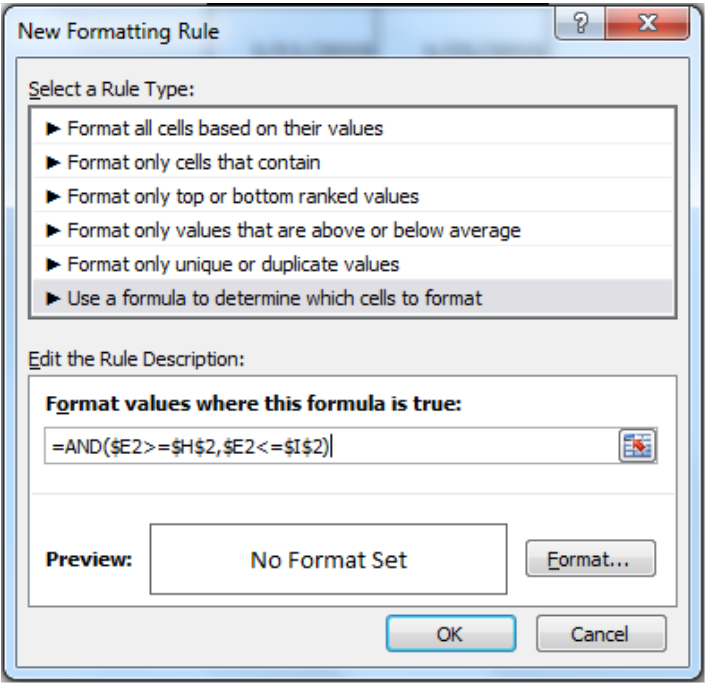 In New Formatting Rule window, select rule type “Use a formula to determine which cell to format”. 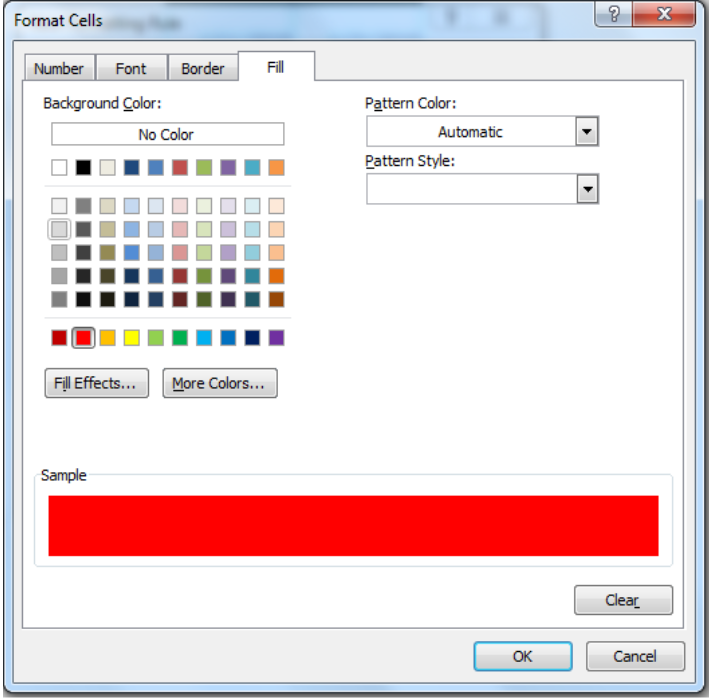 The AND formula evaluates each date in selected cells in E2: E11 against two dates given in cells H2 and I2. 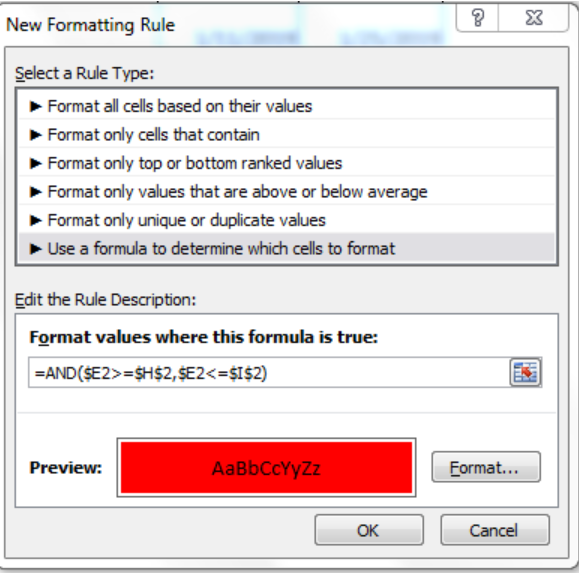 The formula returns TRUE where the dates in cells E2: E11 fall between the given dates and cells are conditionally highlighted with the selected formatting style.